Today is my 19th day on the hCG diet (but whose counting – haha). This morning I am down to 253 pounds. I stalled for a day at 255 which was the weight I ended at when I completed hCG 6 months ago so now I am ready to move lower. I had my 6 year olds birthday party and watched 24 hot dogs get eaten for lunch and 16 burgers get eaten for dinner. 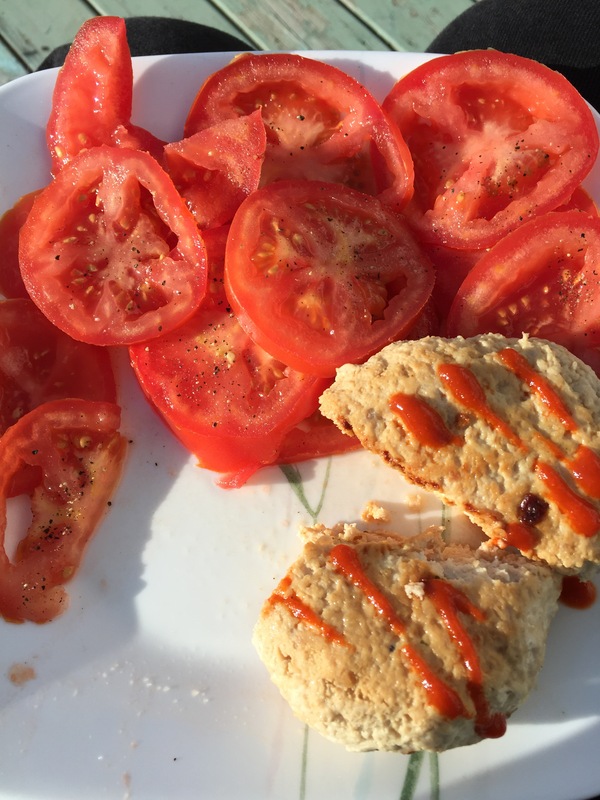 I had just an apple for breakfast, skipped lunch and doubled my protein at dinner for a 9 ounce turkey burger a little onion, saraicha hot sauce and two tomatoes. Just spices and turkey and it held together perfectly – YUM! Otherwise I remain on chicken breast and white fish as my staples. Tomatoes my only veggie and apples mainly as my fruits. Yes it gets very boring but I am not hungry much. I had an apple day even though you are only supposed to Apple day after 4 days of no loss. I just wanted to try it. Ate 6 apples in 24 hours and was not hungry at all. Kept losing my regular weight 1 pound each day. More shots and 2 days still on 500 calories before I start increasing food intake. Craving some variety but the weight loss should be enough motivation for anyone to stay on this!